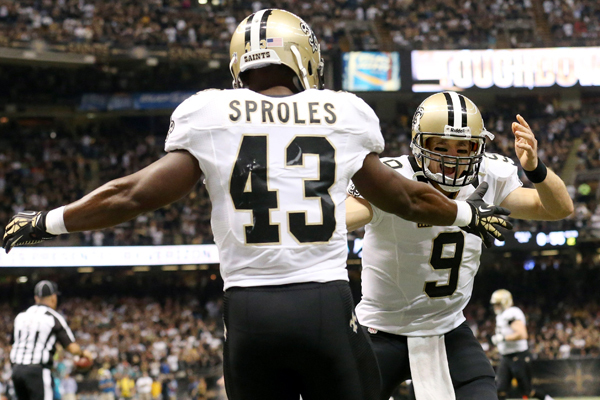 The NFL world was shocked to hear that the New Orleans Saints were shopping Darren Sproles around the league and it’s since been confirmed that his time in New Orleans has come to an end. While no trade has been agreed to, word on the street is that a number of teams are interested in the explosive back. ESPN reports that both Sproles and Pierre Thomas were on the market, but with Sproles’ interest, the team elected to continue shopping him while re-upping Thomas with a two-year contract extension. Sproles’ numbers dropped to their lowest totals in his three-year Saints career last season as the team rotated running backs Thomas, Mark Ingram and Khiry Robinson with the nine-year veteran. Even so, at age 30, Sproles still averaged 4.2 yards per carry on 53 totes with 71 catches for 604 yards and four total touchdowns last season. The Saints, however, have decided that the running back, due $3.5 million this season, is expendable and are looking for the best deal they can get. 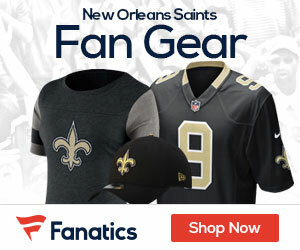 The back has said he’d rather be released than traded but with the Saints keeping him into the new league year (which began at 4 p.m. ETTuesday), they will most certainly trade the back. Washington is interested so he may have a new home. Maybe now his wife will STFU and go back into her shell. Sproles doesn’t look the type to let a woman speak for him but maybe I’m wrong.He better put a leash on her before she bites someone. Unfortunately for Darren he hit the not so magical age of 30. And for a RB in the NFL, most teams consider that either the end, or the beginning of the end.